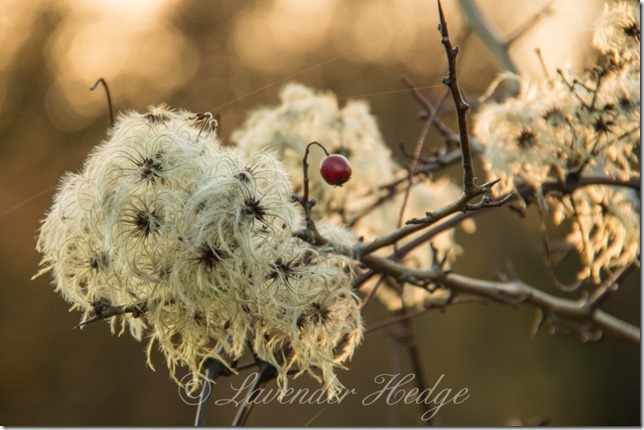 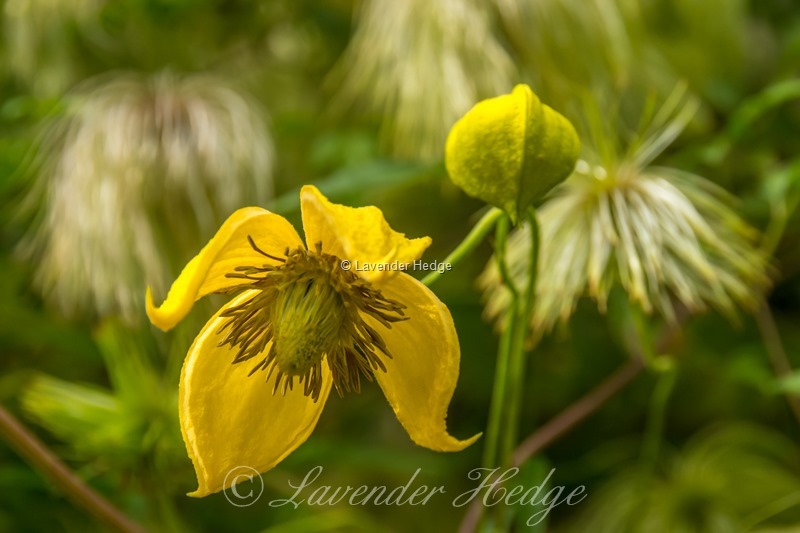 Both the yellow lantern-like flowers and the fluffy seed heads of this clematis make it well worth growing. 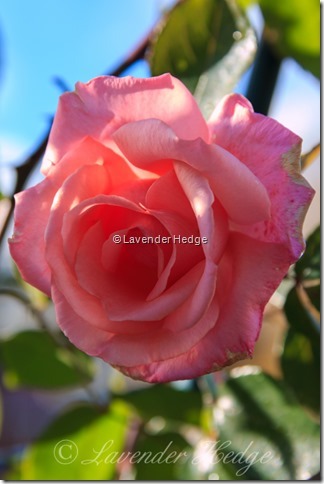 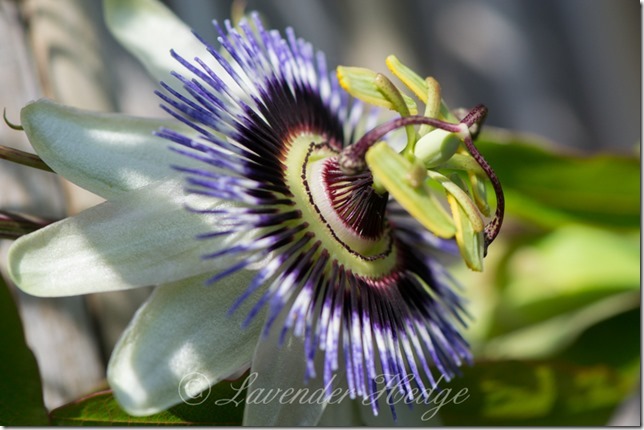 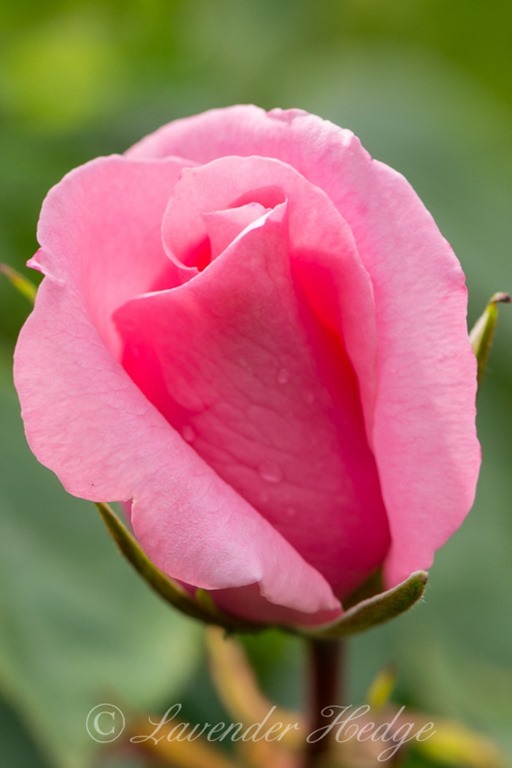 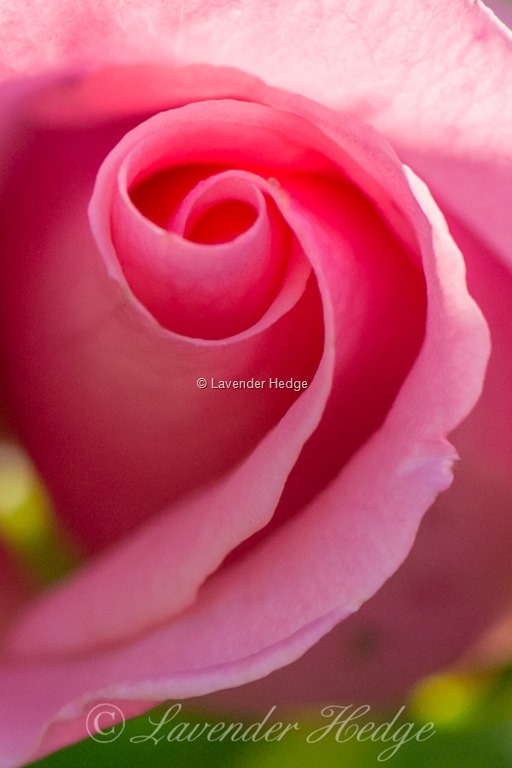 It is very easy to grow and a vigorous climber – useful for climbing up trees and large shrubs. 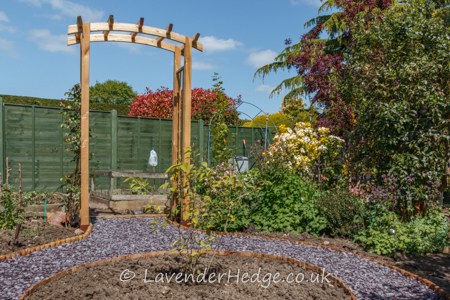 The seed heads will remain on the plant throughout the winter and I will cut the whole plant down to the ground in the spring. 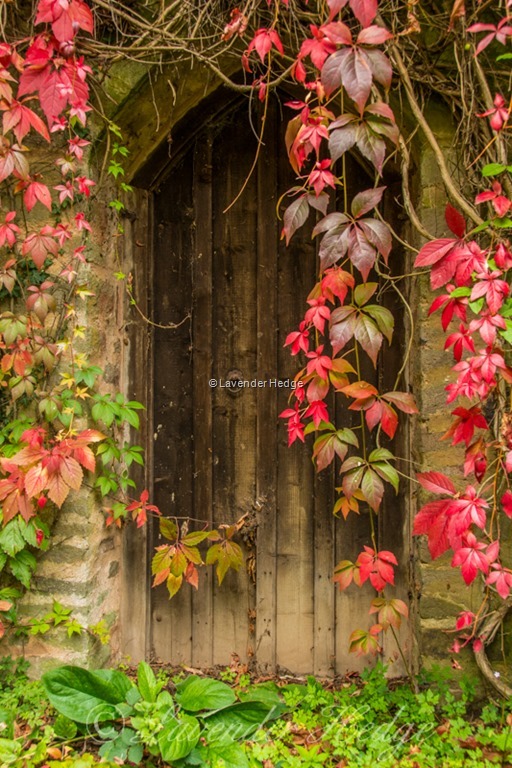 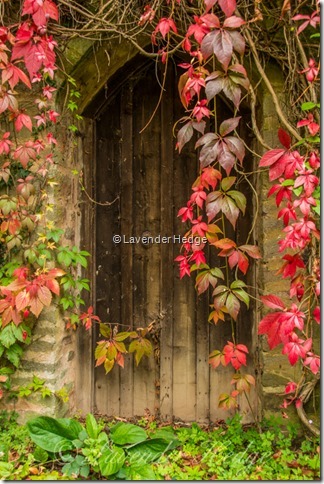 I loved this old forgotten doorway surrounded by Virginia Creeper in its autumnal colours – could be the entrance to the secret garden! Stumbled across this gateway in the Cotswolds today. 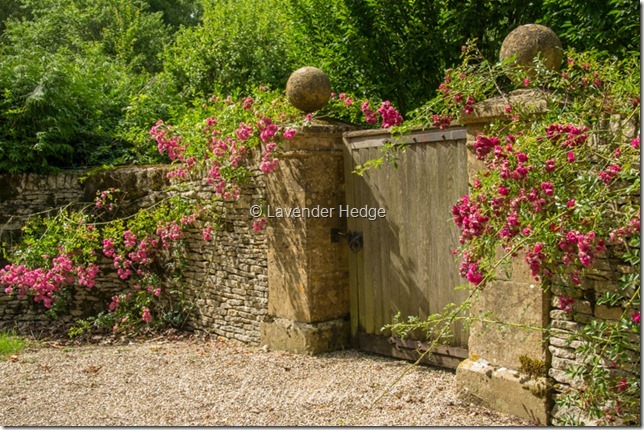 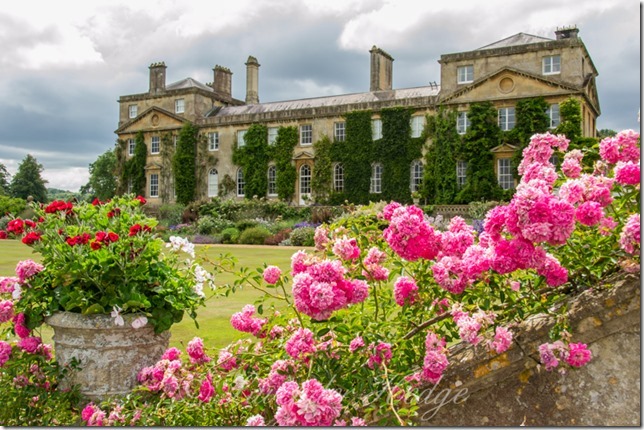 The beautiful honey-coloured Cotswold stone-wall, dripping with climbing roses was such an idyllic scene.